I love the healing arts. I distinctly remember feeling energized as a child whenever I visited hospitals. Full of wonder, I would take the long way back to whomever I was visiting to observe the nurses in action, peeking around every corner and peering through windows on doorways labeled Authorized Personnel Only. At an early age, I knew what I was meant to do. After I graduated with my bachelor’s in nursing from the University of Michigan, I completed University of Michigan’s adult nurse practitioner program. In 1997, I received my master’s in nursing and took my first nurse practitioner job in downtown Seattle, Washington. For 13 years, I had a rich and fulfilling nursing career. 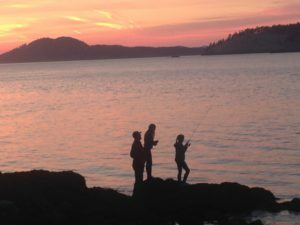 Throughout my life, I’ve been highly sensitive and deeply curious about the connection between health and spirit. 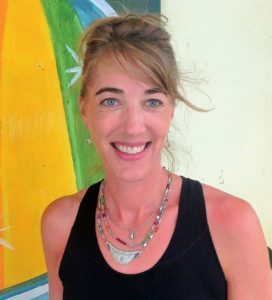 I’ve studied spirituality and alternative healing practices from around the world, and once I learned how I could serve using my innate intuitive abilities more distinctly, I chose to step through nursing into the following services. Team leader and member liaison for Building Connected Communities. Although I am no longer a practicing nurse, the art of healing, care-giving, and spiritual awareness are the foundation of my practice. I am most passionate about supporting the growth of awareness in others so that they become their own resource for well-being. And then there is writing. 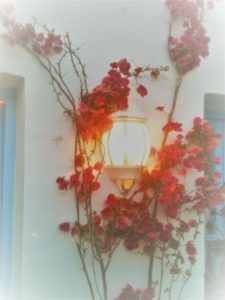 I love to wonder, and writing helps me record my “travels.” Poetry is my favorite way to artfully portray what I've seen along the way—that is, when I'm not imagining how best to tell a complete story. 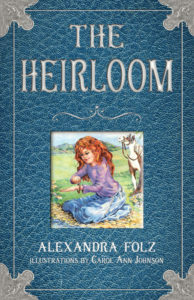 Writing and finishing the juvenile fiction novel, The Heirloom, took 16 years. Although I had never dreamed of being an author (and didn’t know the first thing about publishing), I understood that writing this book was a calling that I needed and wanted to follow. The Heirloom is now a piece of art that is available to anyone of any age. I believe it can enhance the reader’s awareness and empower them to embody their inner wisdom. I am thankful to those who helped me bring The Heirloom to life. Co-creating this book allowed me to collaborate with talented artists, editors, and like-minded professionals. A portion of the proceeds from The Heirloom is donated annually to Zazu's Parrot House Sanctuary. If you love parrots as much as I do, I know you’ll adore Zazu’s mission. Here is a picture of me and my beloved, Beeba. 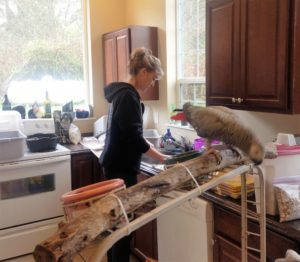 We are preparing fresh fruits and veggies in Zazu’s kitchen for all the birds. I love my birthplace on the shores of Lake Superior. The stones and water that make up the Upper Peninsula are magical. That said, Washington State is just as beautiful. I currently live in the Seattle area with my husband, Brian, our two daughters, two dogs, and three parrots.